There are few, if any, parts of the wardrobe (when worn as intended) that can play a role in your physical health the way footwear can. 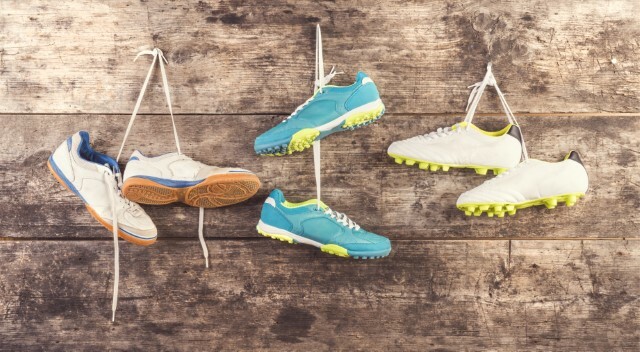 Your feet are subjected to tremendous amounts of physical force throughout the course of the day. A proper pair of shoes can assist feet in distributing those forces in an equitable, normal manner. The wrong footwear, though, can exacerbate or even cause problems. Knowing how to choose the right shoes plays a major role in the health of your feet! 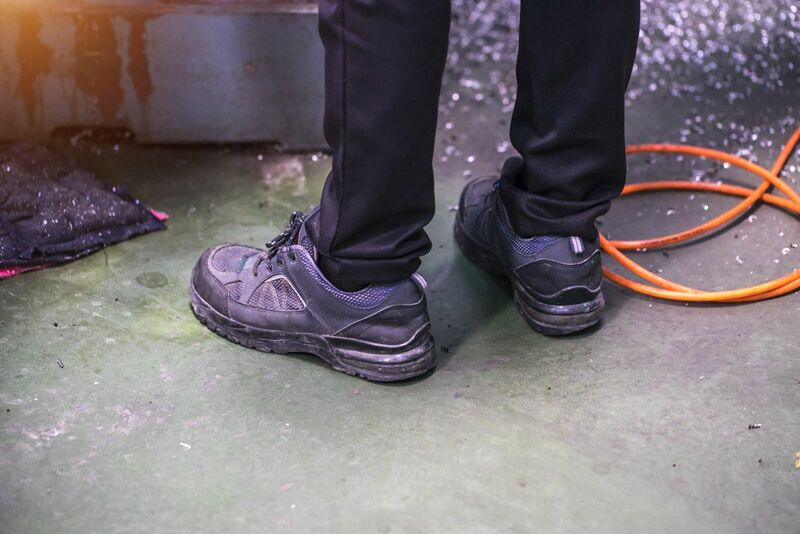 The nature of your job will likely dictate the type of shoes that you wear at work. If you frequently handle heavy items, protect your feet against the risk of ingrown toenails or fractured toe bones with a good pair of safety shoes or steel-toed work boots. For people who work in office settings, we understand wanting to wear pumps or stilettos if the dress code calls for professional attire. High heels might not actually cause bunions, as has been previously thought, but they can exacerbate an existing issue or potentially lead to neuromas or metatarsalgia (forefoot pain). With that being the case, give some consideration to only wearing your high heels at the office. Choose other, sensible models for your commute, and then slip on those pumps or stilettos once you are at work and take them off before heading home. As when buying any kinds of footwear, one of the first considerations is the actual time when you will go to buy your running shoes. Make sure you shop in the late afternoon or early evening. Feet swell through the day (until around 4:00 PM), so a pair of shoes that fits at 9:00 AM could be tight if you go out for an evening run. When you buy shoes is important, but so too is where you buy them. Go to a store that specializes in running and athletic footwear. The staff at specialty stores are more knowledgeable and can help if you have questions. This isn’t necessarily the case if you purchase shoes from a “mall chain” kind of store staffed by high school kids who are instructed to steer customers toward certain shoes (no matter if they are the best choices for an individual or not). Regarding the best choices for an individual, not all feet are exactly the same. One of the key distinctions is arch height. Some feet have higher or lower arches than what is deemed a “neutral” position. This is important to know because arch height can play a role in a biomechanical process known as pronation. If you have low foot arches—and are thus more likely to overpronate—you need shoes that are typically labeled as “motion control” models. On the other hand, you probably supinate (under-pronate) if your arches are high and need running shoes with extra cushioning. Not sure what if you are an over- or under-pronator? The professionals at shoe stores catering specifically to runners can help. Of course, you can also come see us and we will be happy to evaluate your feet (and determine if you have any risk for certain problems). Running shoes need to provide ample cushioning, while at the same time being well-constructed and structurally supportive. Arch support and solid heel counters are also significant considerations if you want to reduce your risk of plantar fasciitis and other overuse injuries. Properly-fitting shoes are a “must” for virtually all situations, but especially when it comes to running. Your heel needs to be firmly cradled (not excessively tight), toes need a little room on the sides (so they aren’t pinched), and there should be roughly a thumb’s width of space between the front of the shoe and your longest toe. If you’ve been prescribed a pair, make sure your custom orthotics fit well inside your new running shoes. Bring them—along with the socks you will be wearing when you run—along to the store to make sure the footwear still fits correctly (and isn’t too tight). Having proper running shoes that fit well and work with your unique foot structure is a great starting point – no matter if you are a new runner or a seasoned vet. With diabetes, tiny cuts, scratches, and other wounds can break down and ultimately lead to conditions that result in tissue death or serious infections. The right shoes can help keep feet safe and prevent a medical emergency from developing. Do they fit correctly? There are many foot and ankle issues that could be avoided by simply wearing footwear that fits like it should. A shoe should firmly cradle the heel, but have room in the front for toes to wiggle (which is typically not the case for high heels). You should be able to slide your index finger down the back, up to your second knuckle, as well. Do they provide arch support? Foot arches play a major role in helping your body absorb the physical forces that come with every step and contributing to biomechanical processes. Shoes, especially athletic footwear, should provide robust arch support to ease the force load on the arches. Is there ample cushioning under the heel? Heel injuries can keep you out of your favorite activities, so make sure that your footwear choices include models that feature enough cushioning in the back. This is especially important for those of you who enjoy running. Are they constructed from breathable materials? A major step in preventing fungal and bacterial infections is to keep feet as dry as possible. To that end, shoes that are made out of breathable materials like leather or nylon mesh are best. Remember, if you ever have any questions or need assistance in footwear matters, our team at Fixing Feet Institute is here to help! We provide comprehensive foot care services, but can also provide advice to reduce your risk of problems developing in the first place. If you would like more information or need to request an appointment, simply give us a call at (623) 584-5556.